Area 420: Secret Hemp Research Facility Could Save Uruguay! Farming industrial hemp could offer Uruguay a simple and elegant solution to a host of serious environmental problems that are currently damaging the country. Tests by the National Institute for Farming Technology are scheduled to start next month at a secret location and will explore hemp’s potential for production and the suitability of various strains. Uruguay, a small nation tucked between Brazil and Argentina, and advertised to tourists as ‘A Natural Country’, is rapidly becoming anything but natural. Abnormally large numbers of dead animals, birds and fish have been turning up in the last year and cancer is now the second most common cause of death in the human population. Herbicides, fungicides and pesticides, many of them carcinogenic, are currently being used in massive amounts all across the country. Tragically, many users are small-scale farmers who are not aware of the toxicity of these substances and the dangers they pose. Many farmers do not wear or are unable to afford the necessary protective equipment and the chemicals are often used indiscriminately, without proper instructions. Soy is currently one of Uruguay’s main food crops. Transgenic soy – specifically Monsanto’s RoundUp Ready (RR) soy – covers more than 600,000 hectares of Uruguayan farmland and is closely linked to both ecological and economic problems. RR soy is genetically engineered to be resistant to RoundUp, a highly toxic glyphosate-based herbicide (also invented by Monsanto) which has been banned in several countries. RR soy’s main selling point is that fields in which it is cultivated can be sprayed indiscriminately with RoundUp, which will kill all other plant life while leaving the GM soy intact. Given that RoundUp is toxic to mammals (including humans), birds, amphibians, fish and invertebrates, it goes without saying that widespread and high-volume use is capable of significant environmental damage. Ingested quantities of RoundUp as small as 85ml can kill humans within hours due to organ failure, and much smaller amounts have been shown to cause endocrine disruption (damage to reproductive development) and genetic damage. Furthermore the cultivation of RR soy is only economically feasible on a large scale (due to the costs of the patented seed and of the accompanying herbicide), making the crop economically damaging to small farmers. Worse still, RR soy has been found to yield significantly less (~6.7%) than unmodified soy varieties. The nutritional value of hempseeds is by now widely known; hempseed yields 30% oil by weight compared to the 18% for soy. The balance of essential fatty acids in hempseed is far superior to that of soy and the two crops yield comparable amounts of valuable vegetable protein. 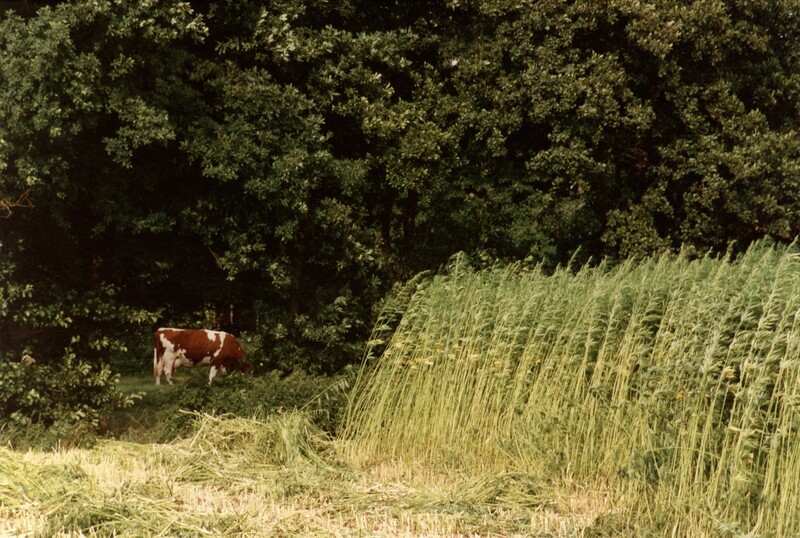 Replacing the current soy crop with hemp would only be beneficial for all Uruguayans. Uruguay is set to become the first South American nation to invest in industrial hemp and hopefully, in the not-to-distant future, this progressive and principled decision will be the catalyst for change in its larger neighbors. Last week, Argentinean film maker Ricardo Manochi visited the Hash Marihuana & Hemp Museum in Amsterdam to shoot footage for a new documentary and to research industrial hemp cultivation and processing in the Netherlands, where pioneering company HempFlax is one of the largest European producers of industrial hemp. He expressed hope that, if the Uruguayan trials succeed, Argentina – where transgenic soy accounts for over half of all agricultural output – will be the next to follow. I think the new progressive movement in South America is a great example for North America. This plant grows naturally everywhere and it is a crime that it’s been eradicated, abolished, prohibited and taken away from the earth. I see a future where EVERY public building has a hemp hedge and cannabis garden. I see a future for all of the world to embrace the medicinal value of this plant as well as it’s industrial potential to end dependence on petroleum-based plastics. To end dependence on oil for car fuel, to re-think ethanol-based (corn) production and look at this miraculous plant for what it could be. When private citizens are able to experiment the possibilities are endless. I’ve been following Northern California pot growers since 2005 and am convinced that the US, more than ever has a chance to change worldwide prohibition of the plant that will save us all. See our doc and see what’s really happening here out west.